Lakeland High School first opened its doors in September 1990. The school was designed for 1500 students. The enrollment the first year was approximately 1200. Lakeland was one of two high schools to open its door that year. Lakeland’s sister school is Nansemond River High School. The two schools were built to replace four smaller high schools. Lakeland High School is located on Kenyon Road which is directly off of West 58. Lakeland is built in an area of many lakes from which Lakeland received its name. 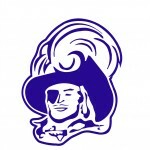 The mission of Lakeland High School is to empower students to be academically prepared for the challenges of a changing world, to assist students with becoming knowledgeable, respectful, contributing members of society, and to expand each student’s academic and personal horizons in an environment where active learning is supported.